The majority of UK households have access to DAB digital radio, according to new audience research released today. The number of hours listened to on DAB has increased by 13% year on year, and DAB remains the most popular platform with 26.7% listening share, up 10.8% year on year, and accounting for 70% of all digital listening. DAB ownership has increased to over half of all households (to 50.9% from 48.5% this time last year), with 27 million adults now having access to a DAB receiver. Radio audience figures, measured by RAJAR show that 27 million adults now have access to DAB. Digital listening in cars grew by 48% year on year and now accounts for almost 17% of all in car listening. 55% of all listeners (30 million people) listen on digital platforms, but there's still an overlap with some digital listeners also still tuning in on analogue radios. Nevertheless, analogue listening has declined to 53.7%. Absolute 80s is the No 1 commercial digital only station growing by 29% to a new record of 1.6 million listeners. 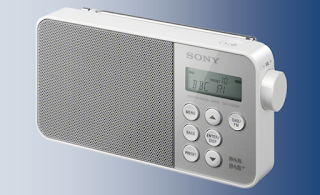 During the next 12 months, an additional multiplex of digital radio stations will launch across many parts of the UK, plus additional local "minimuxes", giving local and specialist stations an opportunity to launch on DAB for the first time. The figures given in this article are confusing, they measure different things and are impossible to compare to each other in an objective way. I suspect they have been carefully selected to present the most positive possible picture for DAB and the most negative for analogue.